At first, I admit I was a bit apprehensive when deciding on whether it would be worth attending the course. However, after graduation, I've learned 10 times more than I thought I would and was able to easily comprehend all the wealth of information in a terrific environment! I had no real knowledge of tinting. The class was really great and allowed me to fully understand each concept of tinting. Greatest training experience I've ever had! I leave the class with all the knowledge know I'll ever need to be a GREAT installer! The training is as "top notch" as any out there I could imagine. 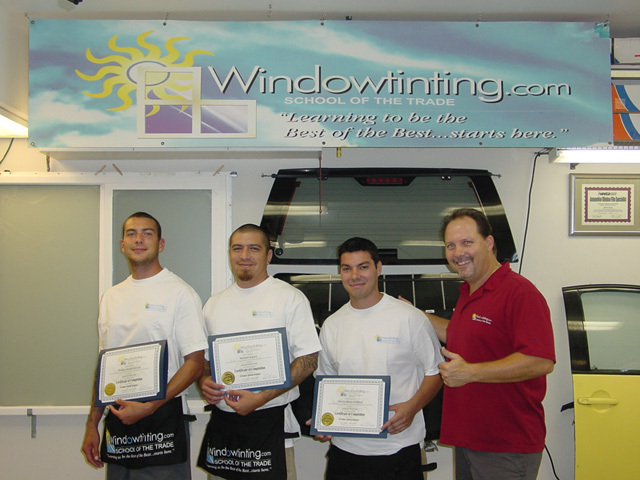 This is like the "Harvard" of window tinting schools!! !